Accommodation booking in the Conference time period will only be available through Penta agency, with a registration package. Accommodation only booking is not available. Accommodation and registration can be done together and separately, through your system account, that is created upon your first login in the system. All rates are quoted in EURO and include local VAT. Hotel rates are stated per room, per night. Prices include overnight with breakfast and all taxes. All hotels are within a 5-minute walk from the congress venue. On arrival day, check-in is at 3.00 pm. On departure day, check out is at 11.00 am at the latest. If the room is checked out after 11.00 am, additional day’s use will be charged from the hotel. IMPORTANT! Due to a limited number of rooms in the hotels that are being offered for the Congress, we encourage you to make your booking as soon as possible. 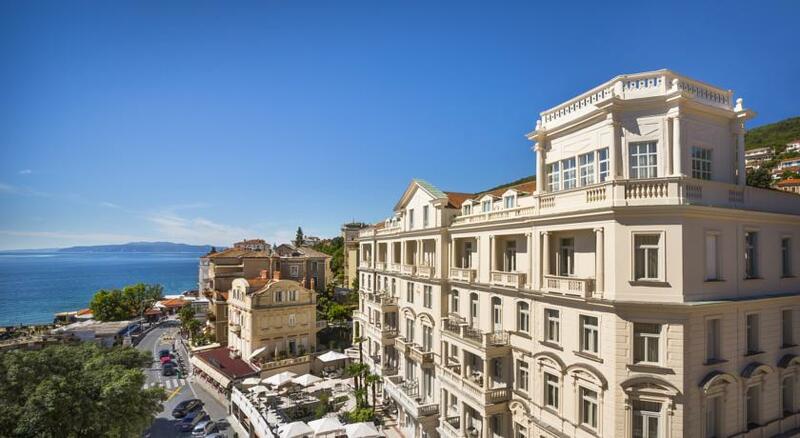 Newly renovated in 2014 and the first hotel to be built along the Adriatic Coast in 1884, Hotel Kvarner Opatija is a historic property often seen as the standard for elegance and sophistication of the hotels in Opatija. Some of the more memorable visions of Opatija are on the grounds of Hotel Kvarner. The Crystal Hall is an awesome architectural sight and the largest of its kind in Opatija. Completely renovated in 2014 Villa Amalia is in Kvarner's immediate vicinity and villa guests can use all the amenities of the historic hotel Kvarner, including the outdoor swimming pool and private beach. As the second hotel built on the Adriatic Sea, the Imperial is constructed in Art Nouveau architectural style of the Secession period. Its beauty has stood the test of time. Today, the hotel has 127 newly renovated rooms in 2018. 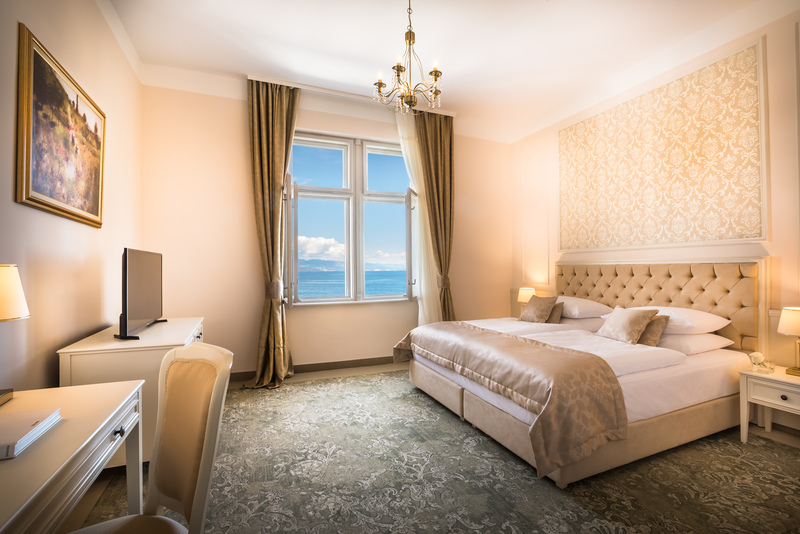 Completely renovated in 2016 the historic Palace Bellevue is located in the center of Opatija, and is at a distance of around 500 m from the venue. Designed with imperial architecture, the hotel was built in the style of neo-baroque and the Secession. Hotel Milenij is a 5-star luxury hotel in Opatija. An essential attribute of this property is convenience and central location in the center of the town. Situated alongside the beautiful park and Church of St. James on the one side, and the famous Lungomare seafront promenade and the town’s Slatina beach on the other, the Milenij invites guests to enjoy the environment where superior service and distinctive surroundings create a unique experience. 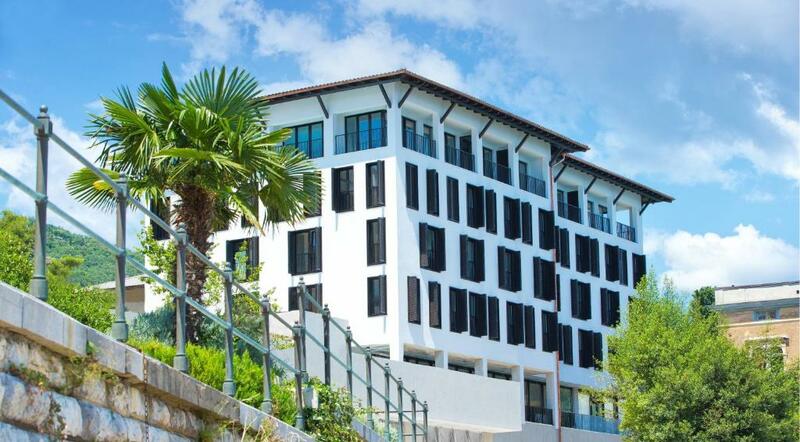 Grand Hotel 4 Opatijska Cvijeta is located in the very center of Opatija and includes four magnificent villas that were named after Opatija’s best-known flowers, Camelia, Magnolia, Wisteria and Begonia. The hotel has 248 nicely furnished and comfortable rooms and suites. 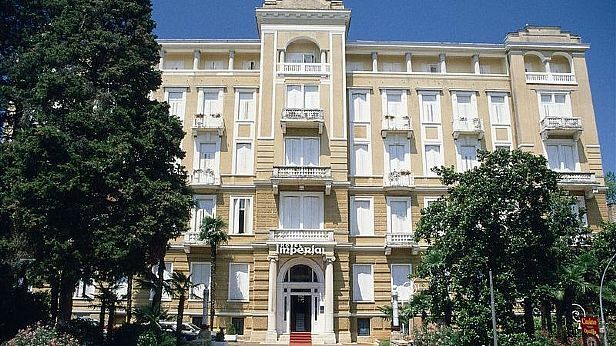 Hotel Royal is a 4-star design hotel in Opatija. Just in front of the Royal Design Hotel passes a 12 km long seaside promenade leading up to the picturesque fishermen's village of Volosko on one side or to Lovran on the other side.